Emily Mayhew’s Wounded is the story of a journey: from injury on the battlefield to recovery in Britain. It is the story of the soldiers themselves but it is also the story of those who cared for them – stretcher bearers and medical officers, surgeons and chaplains, nurses and ambulance drivers. People on the verge of collapse, overwhelmed by the sheer numbers of casualties and terrible injuries who, with determination and improvisation, saved hundreds of thousands of lives. Wounded is the story of the men and women who made it possible. Assembled from dozens of previously unused archival sources, Wounded is the first comprehensive account of medical care at the Western Front. We thought it would be interesting to consider Emily Mayhew’s book alongside an experience of war and the wounded from the present day, some 100 years later. Through two of his diary extracts, below, David Cotterrell reflects on analogous events he observed of contemporary military medicine. Cotterrell is an installation artist and Professor of Fine Art at Sheffield Hallam University. 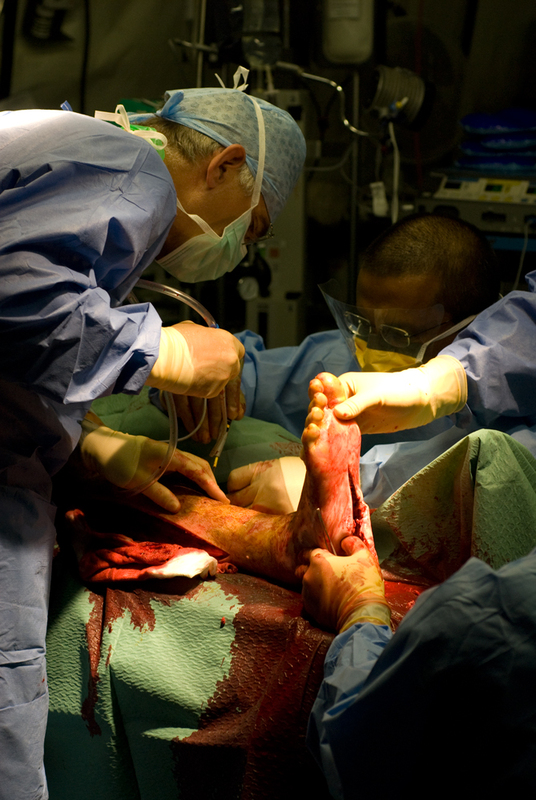 Travelling as an observer, he witnessed the trauma-care undertaken in a tented military field hospital in Helmand province during an accelerated period of violence in late 2007. He had been sent with the support of Wellcome Collection with an agenda to explore the ethically challenging relationship between war and medicine. Wrapped in a clear plastic bag within an open dirty green body bag is the soldier. There’s enormous dignity offered to the dead man. The ambulance crew, assisted by two other soldiers, gently lift the stretcher from the ambulance and place it on to the trestle base. We bow our heads and the Padre… says a short prayer. I feel shaky as I gaze at the unkempt and skinny frame of the soldier. His clothes are soaking wet and hang clumsily from him. He has developed a wispy full beard of inch long red hair. He has a blue tint to his pale and dirty skin. He is from Inkerman. I can’t help but stare at [the soldier]. The doctor checks for signs of life. Pulse, light in the pupils, he uses my torch (and I am grateful to have a small purpose) and touches a cloth to the man’s cornea. 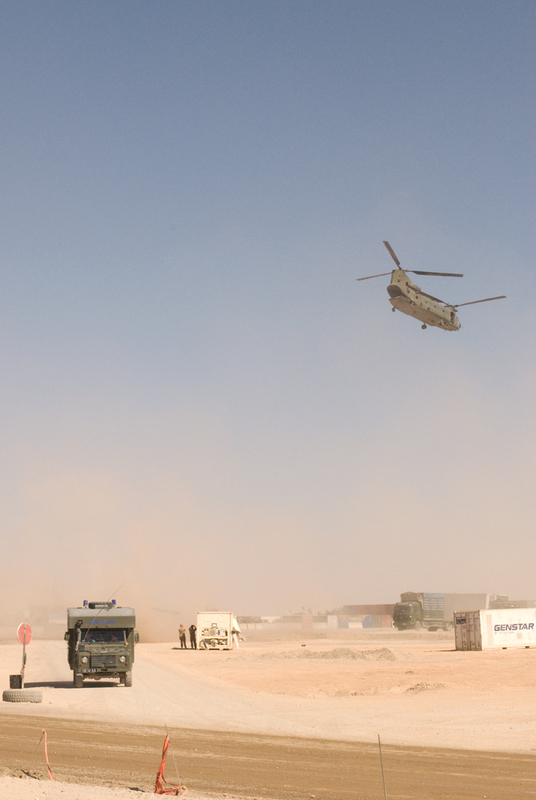 These diary extracts document a short, emotional journey through an unfamiliar context: from the RAF base, Brize Norton, to the Forward Operating Base, Sangin, from novelty to institutionalisation. They contrast my angst and self-conscious embarrassment with the absolute confidence of those I was observing—individuals who had little time to prevaricate or to hesitate. 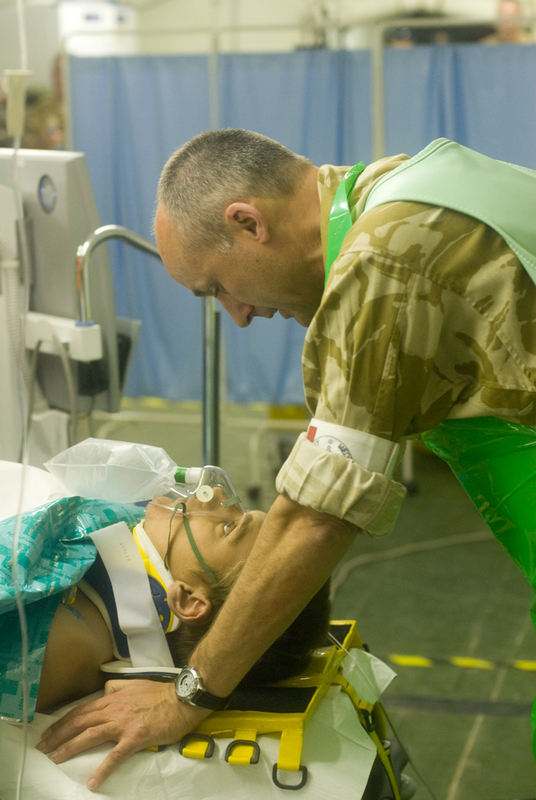 Field hospitals are islands between contrasting environments: between the danger and dirt of the Forward Operating Bases and the order and convention of civilian healthcare. In the tented hospital of Bastion, dramatic episodes in individual narratives were being repeatedly enacted. Thanks to the initial lifesaving treatment at the point of wounding, the speed of extraction and the extraordinary skills of the doctors and nurses, most of the injured survived. I arrived back in Britain feeling a great sense of anger. I was frustrated by my previous ignorance of the frequency of injury. Soldiers are surviving wounds that would often have been fatal in previous conflicts. In the media, we hear about the deaths, with only occasional reference to the wounded. I came home assuming the violence I had witnessed in Afghanistan would be the focus of the news. But less dramatic events occupied the headlines. For me, the incongruity between what I had seen and what was presented as the public face of conflict was, and continues to be, profound and irreconcilable.